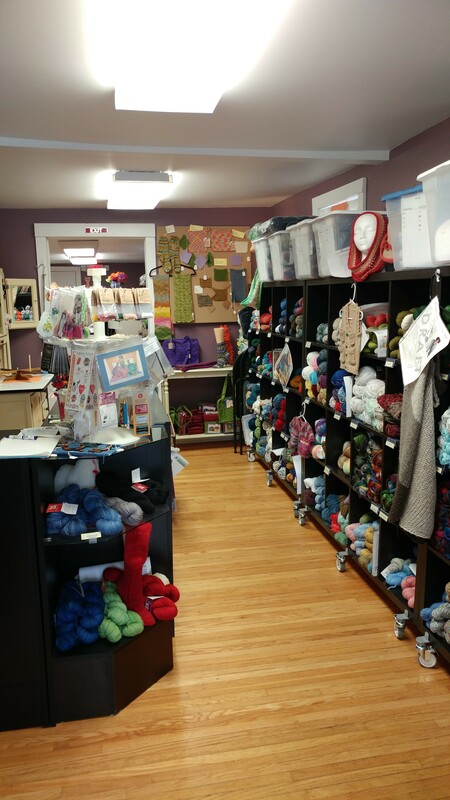 I thought I would introduce you to my favorite yarn shop, Elemental Yarns. 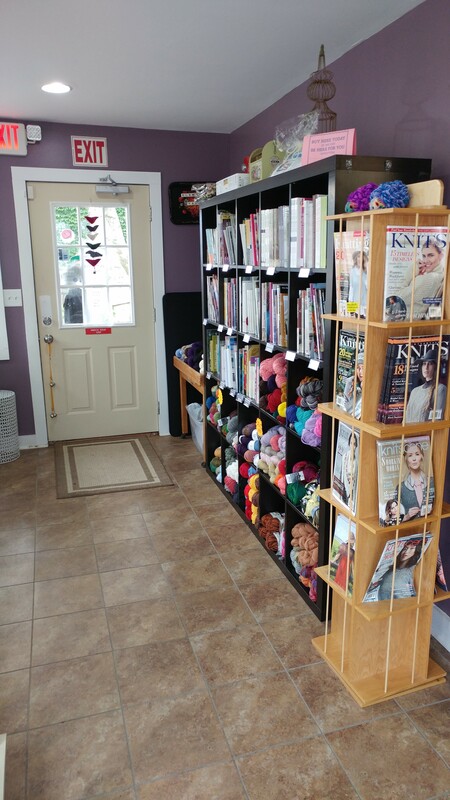 The “front porch” has quite an assortment of books full of instructions and patterns. 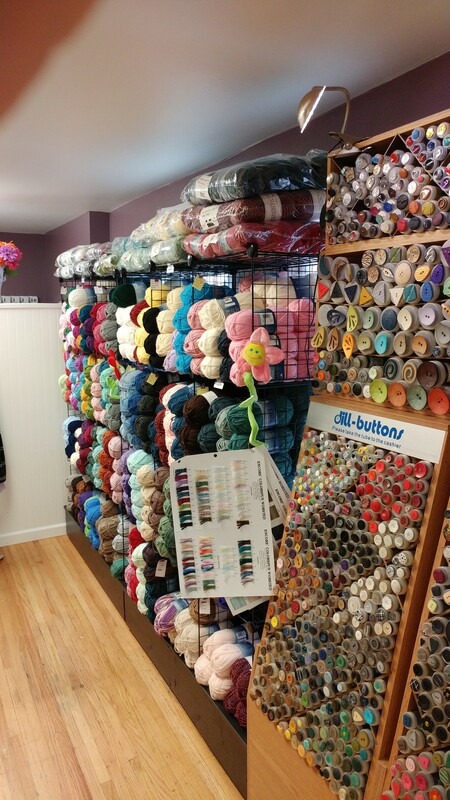 The shop offers yarns of various fiber content and price range. Something for everyone! 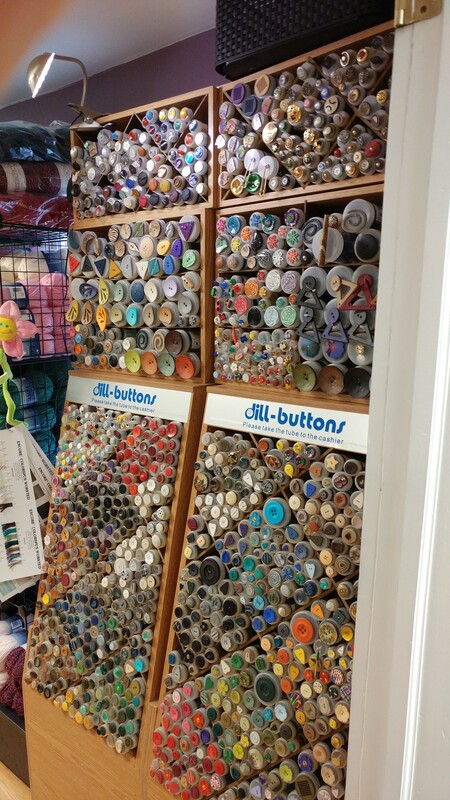 Also….if you are looking for that special button for your project they have tons of buttons. Just love the buttons! I should add that also on the porch is where the classes are held. 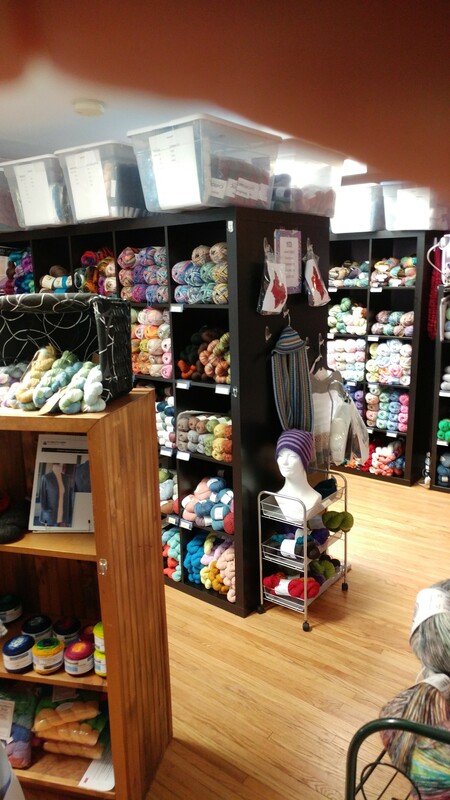 Also KALs (Knit Alongs) which are fun as well as informative. 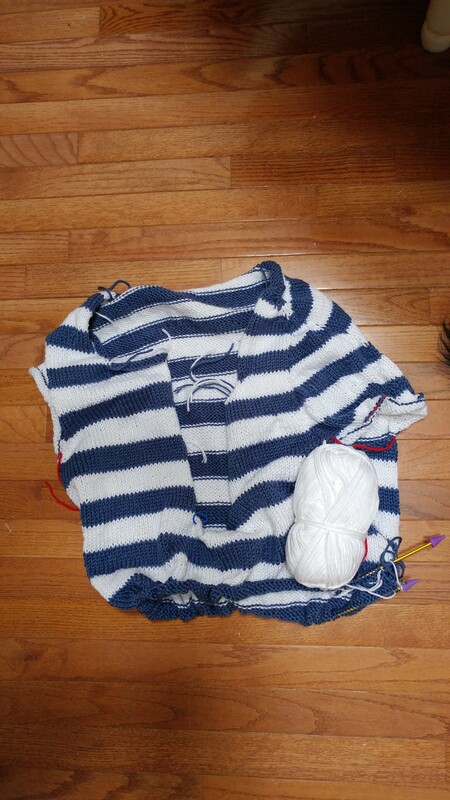 Just a quick update on where I’m at with knitting these days. 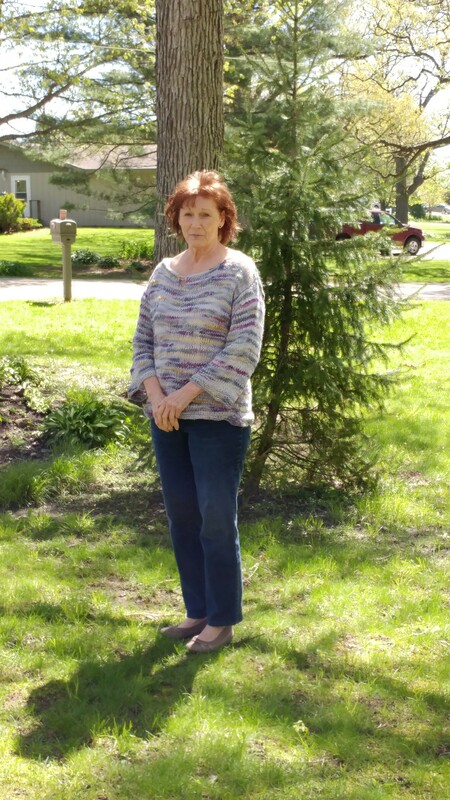 I have decided though that on June 1st I will put this project aside. (well I might pick it up now and again). I need to do this because I have items to work on in order to be ready for fall shows. I look forward to that! Oh, yes, I have also started a pair of socks. I am doing them with what is called Magic Loop. I love the concept now if I have the patience for something on a smaller scale. I did attempt this in the beginning. I completed one only to not be able to match up the second one. I have since learned a solution to that. I’ll post on that when they are complete.